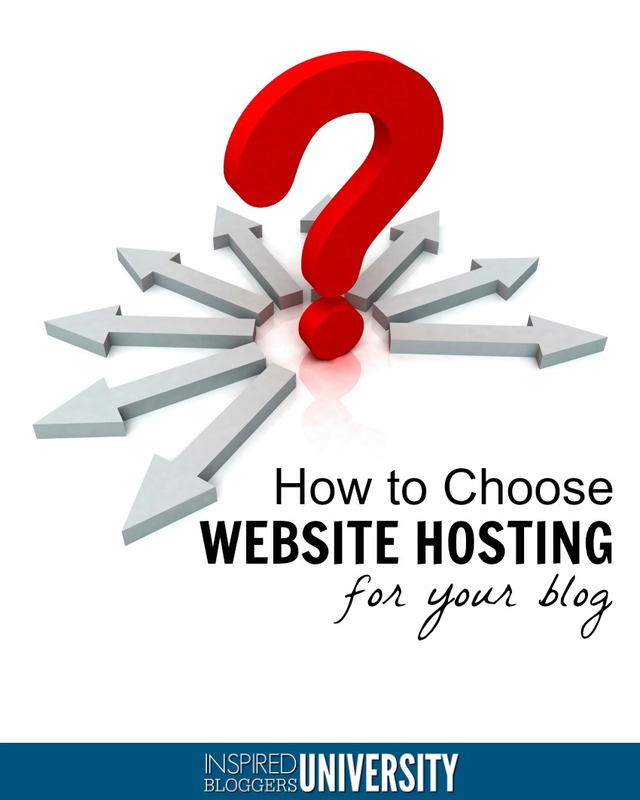 Wondering how to choose webhosting for your blog? Your webhost will dramatically impact your blog’s ability to maintain traffic demand, remain search engine optimized, and provide a quality user experience. But when you are shopping for a blog host company, the jargon can be confusing. Let’s discuss the most important features of webhosting and how you can discern the best blog host for your needs. All quality webhosting companies offer 1-Click WordPress Installs. However, not all companies will transfer your website from one blogging platform to another for free. So, if you are in the market for a change, consider how much the company will charge your to move your website or the cost to have a professional to transfer your blog. Money Saving Tip: High-quality blog hosting companies like Siteground offer a one-time transfer as a complimentary service. Having your website migrated for FREE is a huge stress-reliever. Your blog host regulates the accessibility of your website including the amount of traffic your blog can take at any given time as well as the amount of resources it can provide to a number of people simultaneously. Two extremely important factors in choosing webhosting are website space and bandwidth. Some hosting companies may refer to website space as disk space or storage space as this is the memory of your blog. Your need for website space depends on the number of posts and pages as well as the size and types of files: text files, images, scripts, databases, and emails. A younger blog will naturally have less need for webspace as there are not as many images and posts to store in the memory. Therefore, almost any webhost can accommodate a new blog. Money Saving Tip: Save large files (like PDFs and videos) on a 3rd party platform like Amazon S3 instead of in your media library to avoid needing additional website space on your hosting plan. The amount of data transferred during each connection is your blog’s bandwidth. Usually counted in bits per second(bps) or bytes per second, bandwidth can be impacted by high traffic volume as well as large file sizes. If too many resources are being pulled from your blog’s memory by readers at the same time, your blog bandwidth will become full and the website load time will slow or stop. Money Saving Tip: If you plan to host a linky party or affiliate program where other bloggers will be sharing your images, use a 3rd party cloud for images. Every time an image from your website is loaded on another blog, it pulls resources from your webhost and can force you to upgrade your service. If your website peaks around your hosting limitations, you may notice connection errors that are hazardous to your SEO and user experience. Examples include “connection timed out” or 504 error code. For plans or packages featuring unlimited websites, domains, or email accounts, we do not enforce any official limitations. Customers are able to utilize as many of these features as they wish. That said, these are of course not infinite resources and there are inherent maximums associated with the technology powering them. Another issue that can hamper your blog growth occurs when your blog is on a shared platform with other large blogs or spammy websites. Shared hosting means that several websites are grouped together on one platform within the hosting company’s resources. Shared hosting is an excellent option for small blogs. The problem occurs when other blogs on your shared hosting platform begin to peak beyond their allowed limitations. Memory and bandwidth may be redistributed within the platform and slow your website. Rarely, a shared hosting platform may include a website marked as spammy. In some situations, all websites on the platform will suffer as search engines react and block the content from the server. Money Saving Tip: If your blog host is pressuring you to upgrade your service, ask to be moved to a different shared hosting block first to determine if it is another website on your shared host causing your issues. Also, seek a second opinion. Some hosting companies will review your blog’s memory usage and make recommendations to help you avoid unnecessary upgrades. If your blog is experiencing repeated downtime, connectivity errors, and/or slow page speed, you might consider changing your plan or hosting company. SiteGround starts at $3.95 a month and offers a free domain. A Small Orange begins at $2.91 a month when you pay for the year. Blue Host begins at $3.95 a month. GoDaddy offers $1 a month hosting and a free domain. DreamHost prices start at $8.95 per month. HostGator Web Hosting as low as $3.96 per month. Liquid Web (one of those most trusted hosts) starts at $14.95 per month. Please be aware that no one stays with the same blog host forever. Likewise, every hosting company eventually has problems. However, many blogging experts push webhosting companies as “the best” because of the huge affiliate payout involved. For instance, Blue Host offers between $75 and $150 for each account created. Therefore, when looking for reviews on webhosting, make note of the articles that include affiliate links. Try to discern whether or not a company is just recommended based on payout. One way you can check for accurate reviews is to search the name of the webhost and the word “downtime.” Searching the word “review” often pulls up planted efforts to drive affiliate conversions. The word “downtime” seems to reveal a more authentic detail of user experience. You can also check Twitter for honest reviews. You can spot the sincere responses because they are not pushing an affiliate link or blog post URL. @bluehost unwilling to help with installation of wordpress. I pay $300 a year for my hosting with them! God bluehost is down too much..
Also be aware that many blog hosting companies are owned by the same parent company. BlueHost, Host Gator, and A Small Orange are all related so you can expect the policies and service to be similar. Money Saving Tip: Sign up for your webhosting company’s affiliate or referral platform and link to them from your footer. 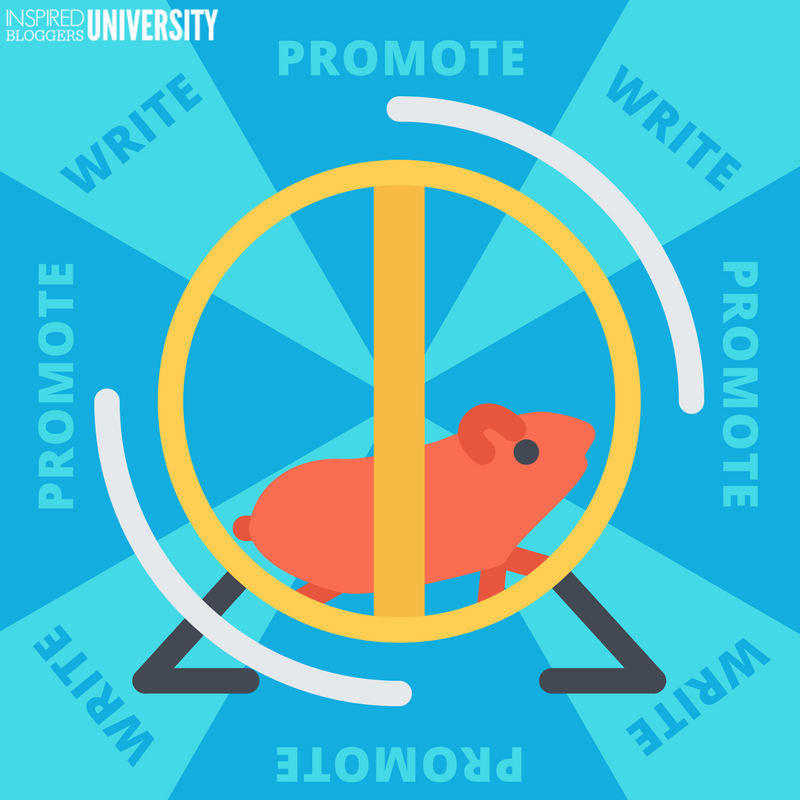 Use your affiliate link when talking about your awesome host and schedule tweets to promote your link. Take your affiliate income and invest it back into your hosting. Why not free blog hosting? 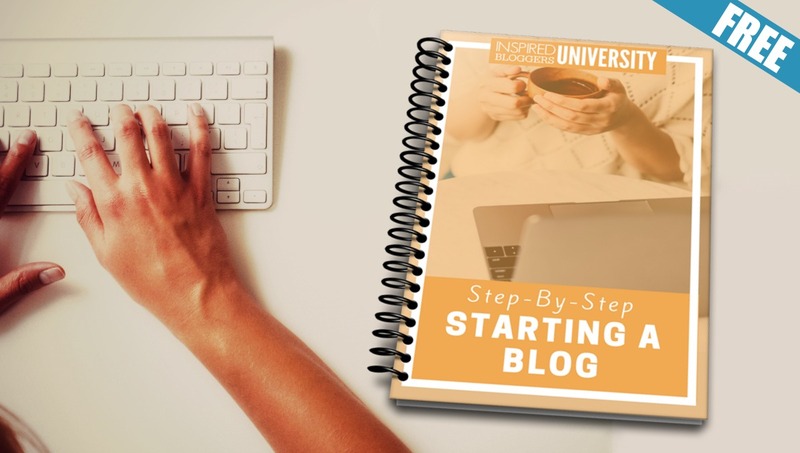 If you are thinking about blogging and not sure you will like blogging as a career, I think dabbling with a free host is fine. However, once you decide to blog for profit, you should upgrade to a paid, professional hosting platform. Unfortunately, free hosting options do not offer the options of paid hosting companies. inability to add useful plugins and extend your website’s abilities. Some bloggers have even discovered their “free” blogs were deleted suddenly and without notice because they broke an unknown rule. Another negative… free hosting companies are often dinged by search engine robots because so many spammers use free hosting platforms. The exception to this rule seems to be Blogger, who is owned by Google and therefore can still appear in Google search results. Even so, it can take longer for a website on a free webhosting platform to be recognized by search engines as a reputable website. Just to be clear… the vast majority of all bloggers change hosting companies from time to time and every webhosting company will have routine problems. But, if you find your blog is down more than once a year or your blog is loading slowly (or not at all), it is time to choose a new webhost. Do you have any recommendations for 3rd party cloud image sites? Thank you for writing such an informative article! Every single day, I see questions about hosting in FaceBook groups, so I have bookmarked this page so I can refer people to it. I am lucky enough to get hosting through my internet provider, and their tech support has been outstanding.